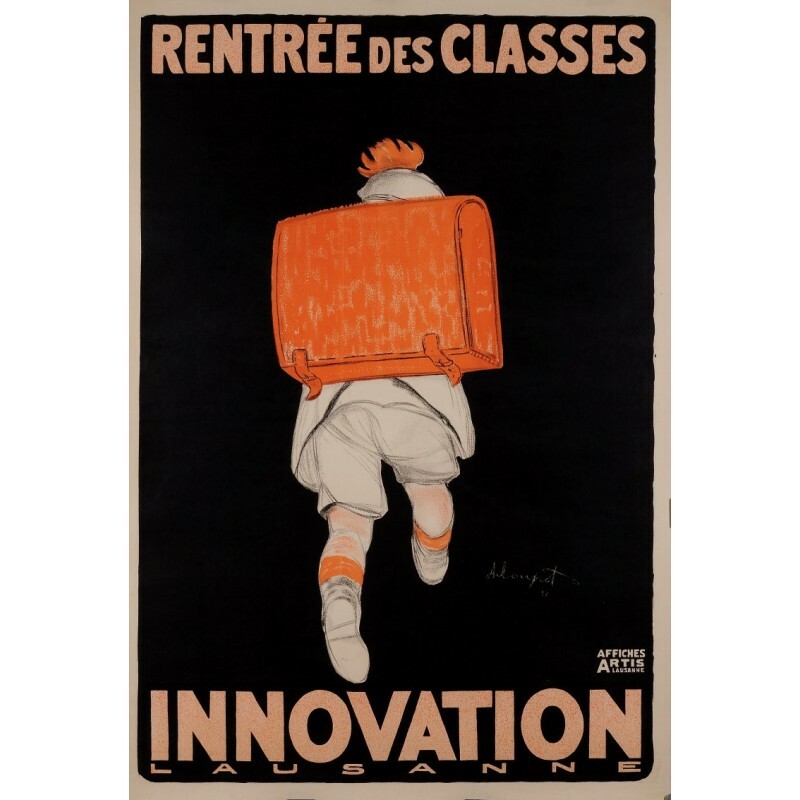 As the caption tells us ”Rentrée des classes ” which stands for ”Back to School”. a lovely poster depicting a little boy on his way to school. Probably hung in departments stores to advertise back to school sales. Signed in the plate by Loupot. 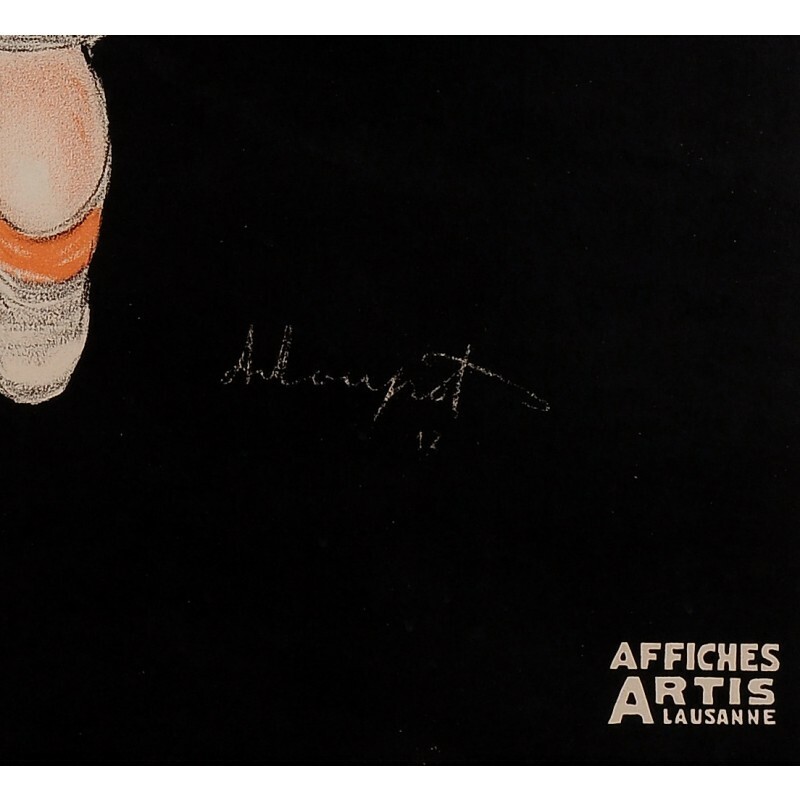 Loupot is considered as one of the most talented poster designers of the 20th century and this is one of his most iconic creations.